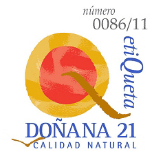 DOÑANA RESERVAS is a family-owned, guided tour company that operates within Doñana National Park. The experience built over more than 15 years enables us to offer a high-quality service to our customers. Our highly skilled staff is comprised of some of the best nature guides in Doñana County. Their experience and friendly service is arguably the best guarantee for a quality tour in which you can enjoy Doñana to its fullest. 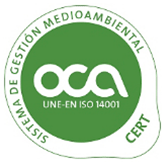 This Quality and Environment Policy is geared towards enhancing our customer’s satisfaction in order to build a stable, collaborative relationship, whilst minimising the impact of our activity on Doñana’s environment. Our customers expect us to not only meet their needs, but also our corporate standards and service requirements. To ensure the provision of adequate and reliable services, engaging fully in the continuous improvement process. The customer service and satisfaction concept driving this improvement process shall be reflected in our company’s activities, ensuring that the internal actions of each person is geared towards achieving the satisfaction of the people and functions further down the chain based on the outcome of their work. To comply with legal and implied requirements applicable to our activity, both in performing our services and protecting the environment during our activities. To establish actions and programs geared towards prevention and not only detection. To carry out preventive maintenance of our vehicle fleet to prevent engine failures that can lead to unnecessary fuel expenses. To promote efficient and environmentally friendly use of vehicles to save fuel. To reduce waste generation during vehicle maintenance and cleaning activities. To manage waste and garbage generated during the tours in a responsible way, promoting recycling. To establish pollution prevention and social commitment as a priority goal. To use material resources more effectively. To provide all staff members the training and learning needed to perform activities related to service quality and their environmental management. To protect the environment and local natural spaces through actions and measures aimed at preventing any type of interaction during the performance of our activities in the Doñana area. To make quality and respect for the environment a key part of our corporate culture. Management shall define the plans and resources needed to achieve the goals set out in DOÑANA RESERVAS General Policy. DOÑANA RESERVAS is committed to fostering better understanding and dissemination of our policy within our organisation through training and continuous communication with our staff and partners. This Comprehensive Policy provides a framework for establishing and reviewing the goals of our Quality and Environment system, which shall be shared across the Organisation and with all stakeholders. It shall also be reviewed and modified annually, where necessary.